Jermain Defoe says he always knew that Ibrox generated a special atmosphere, after he helped Rangers to a comfortable 4-0 win over St Mirren on Saturday. St Mirren made a disastrous start when Ethan Erhahon tripped Defoe in the box after three minutes, allowing James Tavernier to step up and fire home the resultant penalty. 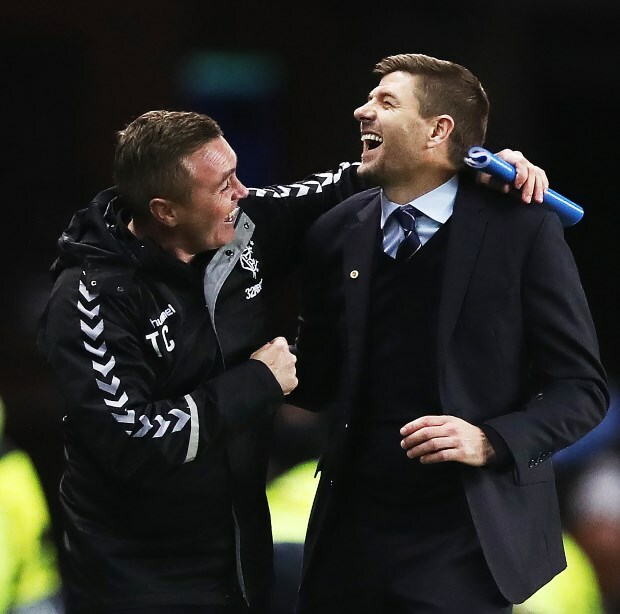 Rangers then had another penalty given in the 27th minute, Defoe again fouled, but Tavernier shot against the post, leaving the visitors breathing a sigh of relief. Ryan Kent then hit the crossbar with a fine effort, as Rangers had to make do with going in 1-0 up at the break. The Gers extended their advantage in the 55th minute, Tavernier scoring again from the spot to make it 2-0. Rangers got another penalty in the 77th minute, Daniel Candeias the man fouled, and Defoe did the honours from the spot to make it 3-0. Kent then rounded off Rangers' afternoon by grabbing a fourth with ten minutes left. Defoe was delighted with the win and the Ibrox atmosphere, with the ground packed with over 49,000 fans. He told Rangers TV: "I always knew it was a special place to football and I feel blessed because at the end of the day towards the end of their career have the opportunity to come to a big club and play in front of amazing and passionate fans. "I remember being at home in Bournemouth watching the European games and I had a conversation ages with my agent about the atmosphere. "I knew I would get a lot of chances before I came and I knew a lot of teams would come here and sit off and make it difficult for us. "I feel like if we move the ball quick and create the chances I know we can then it is good for the fans, they’re in for a treat. "There were so many areas in the game today where we could have done better", Defoe added. Rangers have now moved to within three points of league leaders Celtic with the win, but the Bhoys still have a game in hand.